Candidates appearing for NEET PG should know how the Surgery, ENT, Orthopedics and Anesthesia NEET PG test is prepared and how to study for the same like a pro! MedExamsPrep’s Online Test Series for NEET PG Surgery, ENT, Orthopedics and Anesthesia helps candidates in testing and assessing their preparation level in the subject. The MedExamsPrep portal provides a strategic preparation method to the students with standards questions. The portal covers all concepts as per NEET syllabus. We also provide instant doubt clearing sessions for the students to get the detailed step-by-step solution to every question. Students can also track, mark, bookmark all the wrongly attempted questions and practice it for later. The field of orthopedics has been central to the use of regenerative medicine. The focus in modern orthopedics is changing as research exposes ever greater knowledge widening the spectrum of therapeutic options encompassing reconstruction, regeneration, and substitution. Otorhinolaryngology (Ear, Nose and Throat surgery – ENT) is a diverse surgical specialty that involves the management of both children and adults. In contrast to other surgical specialties, the management of a significant number of conditions requires a non-surgical approach. Candidates need to know all the steps in the process, from referral to recovery while performing a surgery, so you need to be fully prepared and know what questions will be asked at each stage. Generally, in the NEET PG entrance exams some questions are repeated, but not in this case. So sticking to the traditional pattern of preparing for the last year question paper, will not help. 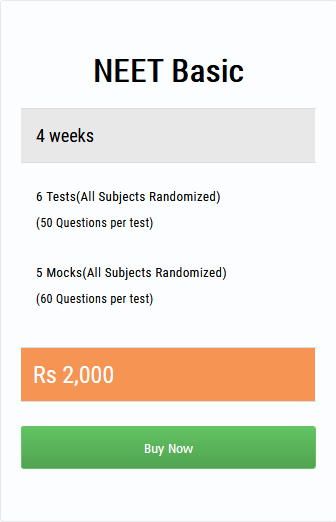 Candidates can take online tests or mock tests to check how much they remember about the subjects. Taking such test will increase their confidence and speed.